Potable Water (start time 5:31). Here on the Front Range, the last three months have been the driest on record. Usually, we get about 8 inches of rain through this time period. This year, it’s more like three inches of rain. A dry year raises a question that’s always a worry in Colorado — what can people do to get enough water? The question is even more urgent because more people are moving to Colorado . . . which means, they will demand . . . more water! As for where to get that water when supplies are scarce, Jörg Drewesat the Colorado School of Mines is leading a plan to build city water systems so that we save drinkable water for, well, drinking. And we use less clean water for flushing toilets, washing laundry, and watering lawns. This way to the juice! 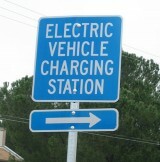 Electric vehicle Infrastructure (start time 14:25). We cover electric vehicle technology a lot on How on Earth, but equally important issues to the vehicles themselves are the infrastructure required to make it work and the government policies. Rocky Mountain Institute, which has an office in Boulder, is an organization that has thought deeply about these issues. With us in the studio is Ben Holland, manager of the Project Get Ready. Distributed Energy (start time 5:46): Enjoying the twinkling stars without nighttime light pollution is a luxury for many of us. We can flick on the switch when we return home, after all. But think what would it be like if you were among the 1.5 billion people around the world who lack to centralized electricity. Having no lights at night keeps many of them poor and illiterate, and it can create a public health and national security crisis. How On Earth co-host Susan Moran interviews two experts in the field of distributed and decentralized energy. 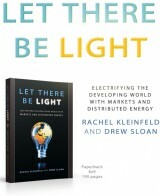 Rachel Kleinfeld is co-author (along with Drew Sloan) of a new book called “Let There Be Light: Electrifying the Developing World with Markets and Distributed Energy.” She is CEO of the Truman National Security Project. Stephen Katsaros is founder of Nokero, a Denver-based startup company that makes solar LED light bulbs. Pluto’s Occultation (start time 16:31): It is a good time these days for watching solar system. Last week there was a solar eclipse, next week is a lunar eclipse and a transit of Venus (where Venus can be seen moving across the disk of the Sun). Next week there is yet another solar system event of one object moving in front of another, though it’s not visible without the aid of a telescope. On June 4th Pluto will pass in front of a relatively bright star, an “occultation” event that will send teams of astronomers scrambling around the world to observe. One team member is How on Earth’s own Joel Parker, an astrophysicist with the Boulder office of the Southwest Research Institute. 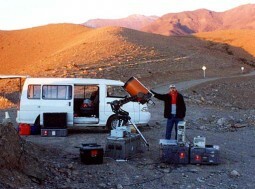 He’ll be deployed to an observatory in New Zealand to observe the occultation. Joel talks with How On Earth co-host Tom McKinnon on the eve of his adventure about the occultation and why scientists are interested in observing it. (Here’s an article and video about last year’s occulting Pluto. 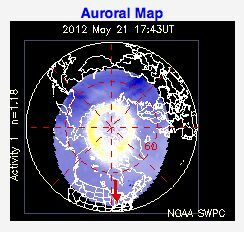 Space Weather (start time 13:15). It has been said that “You don’t need a weatherman to know which way the wind blows.” However, you DO need a weather satellite and space researchers to know which way the solar wind blows, and if that solar wind will affect anything orbiting or on the Earth. So, today How On Earth co-host Joel Parker talks with Space Weatherman Joe Kunches, at NOAA’s National Weather Service, Space Weather Prediction Center in Boulder, Colo., to explain the Sun-Earth connection and why we should care about space weather forecasts. Kunches is a space scientist. Formerly he was Secretary of the International Space Environment Service. Kunches says he is in his fifth solar cycle in the space weather field. Why Calories Count (start time 7:10). More than a billion people in the world suffer from too few of them. About the same number suffer from too many. We’re talking about calories. 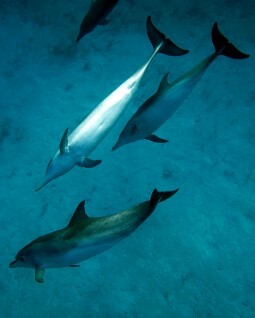 They’re vital to human health, indeed our very survival. 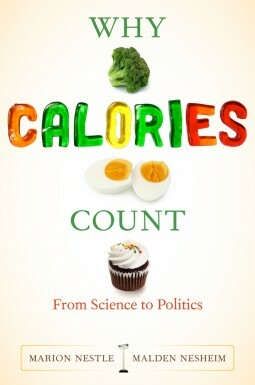 A new book, called “Why Calories Count: From Science to Politics,” delves into the many dimensions of calories – personal, scientific, and political. How On Earth co-host Susan Moran interviews the book’s co-author, Marion Nestle, a molecular biologist and professor at New York University. 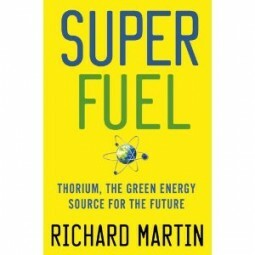 Her co-author is Malden Nesheim of Cornell University. What if you could find out about dozens of diseases, all at once, from just one tube of your blood? It might happen soon, with proteomics and the search for wellness chip. In this episode, we talk with scientists at Boulder’s Somalogic, Dan Chan, developer of the proteomics based OVA-1 ovarian cancer test, Quest Diagnostic VP of Business Development Nick Conti, and Stanford Geneticist Mike Snyder (for an extended version of the interview with Mike Snyder, click here). Special thanks also to Boulder playwright Len Barron for reading the poem, The Blind Men and the Elephant. Jamie Williams (start time 5:40). Today on How On Earth we speak with Jamie Williams about land conservation. It’s safe to say that Williams should take credit for large swaths of land in the West that have been preserved as wilderness. 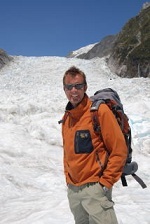 He has served as The Nature Conservancy’s director of landscape conservation for North America as part of a 20-year career at the organization. During that time he helped forge unlikely partnerships between ranchers, other landowners and environmentalists. And he led major efforts to garner funding in Congress for conservation, including the largest conservation purchase of private land ever – of 500 square miles of forest in northwest Montana. Williams helped develop the large landscape focus within the Obama administration’s America’s Great Outdoors Initiative, which aims to connect especially young kids to the outdoors. 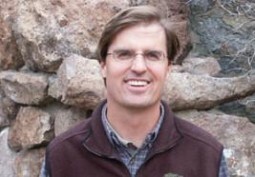 Today, Williams takes the helm of another major conservation organization, the Wilderness Society. Climate engineering (start time 18:12). Geoengineering means large scale, intentional manipulation of the climate to counter the effects of global climate change. Advocates have proposed ideas like placing giant shields in space to block the sun’s rays from striking the earth, and seeding the ocean with iron particles to speed up the removal of carbon from the atmosphere. Critics cite a host of social, moral, and technological problems. Climate engineering may be a solution of last resort, but the time for last resorts may be rapidly approaching as we spew more and more carbon into the air. We speak with Dr. Doug Ray about the readiness of climate engineering. 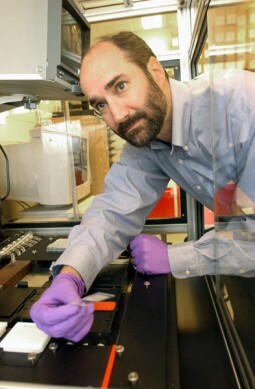 Ray is an expert on energy and atmospheric carbon removal science and technology and is an Associate Lab Director at the Pacific Northwest National Laboratory. We look at the health effects of saturated fat and red meat with one of the world’s leading scientists in the field – Ron Krauss. His recent studies show that replacing saturated fat with carbohydrates INCREASES heart disease risk. 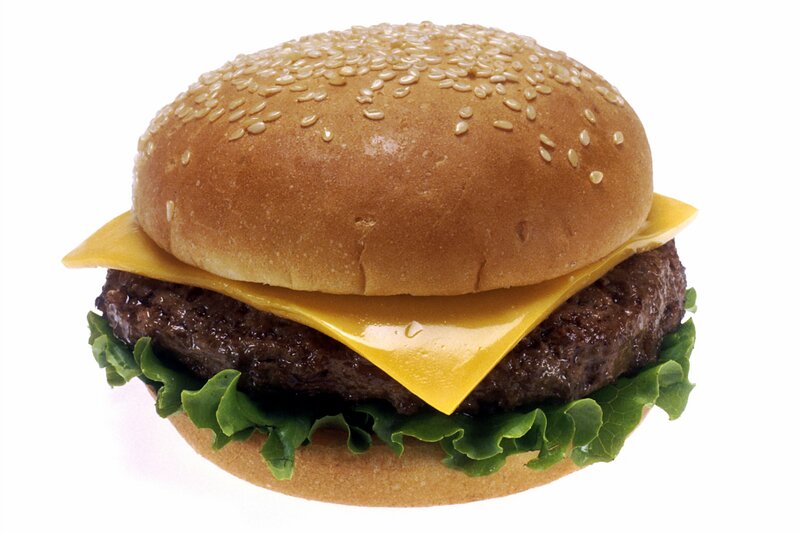 But combining high saturated fat with moderate carbs and then adding red meat — think cheeseburger on a bun — is yet another story. For the extended version, go here. 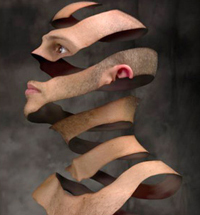 Jeff Lieberman's art redefines the way people see themselves and their world. Image courtesy of Jeff Lieberman. Jeff Lieberman is a jack of all science trades, and many non-science trades too, actually. He is a mechanical engineer, a design consultant, a photographer, composer and kinetic sculptor. He hosts the Discovery Channel’s “Time Warp” TV show, has performed at Carnegie Hall, and gave a TedX talk at Cambridge. But the common thread that runs through Lieberman’s various endeavors is his use of technology to elicit a sense of wonder. His science/art combination challenges and shifts human perspectives on the universe (start time 6:05). Bees and Pesticides (start at 6:40). 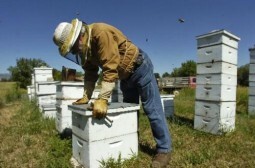 Two studies published last week in the journal Science (here and here) make a strong case for beekeepers who worry that a new class of pesticides called “neonicotinoids” hurts honeybees and bumblebees. In recent years, honeybee populations have rapidly declined, in part due to a phenomenon known as Colony Collapse Disorder. Bumblebee populations have been suffering as well. Researchers have proposed many causes for these declines, including pesticides, but it’s been unclear exactly how pesticides cause damage. Both of the new studies looked at the effects of neonicotinoid insecticides, which were introduced in the early 1990s and have now become one of the most widely used crop pesticides in the world. One study, from the United Kingdom, shows that the pesticides reduce a bee’s ability to store enough food and to produce new queens. In a second study, French researchers tied tiny radios to honeybees then exposed them to low levels of the pesticides; a high number of the bees lost their sense of direction and died away from the hive. These two new studies add to concerns raised in January by a Purdue University study, which indicated that neonicotinoids persist, as poisons, in both plants and soil for much longer than thought, increasing the chance of the pesticide to harm bees and other insects. Despite the increasing number of studies calling into question the safety of these pesticides, the EPA has done little to restrict their use. Local beekeeper Tom Theobald talks with How on Earth’s Shelley Schlender that when it comes to honeybees, these are dangerous pesticides. You can hear the extended version of this interview on this website. Radiometers and Weather (start at 12:50). Predicting the weather is a tough job, and climate change is bringing unseasonal conditions that make it even more difficult to predict. 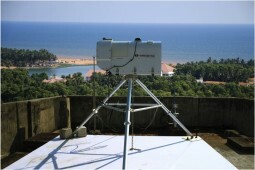 But a monitoring device produced here in Boulder may be able to improve local weather forecasts significnatly. These radiometers work by creating 3-D profiles of the moisture in the air, which is a key element for meteorologists and climate modelers alike. They are now being put to various weather-related uses all over the planet. Stick Ware is the founder and lead scientist of the Boulder-based company, Radiometrics, and he’s here in the studio with us today to give us the scoop on these radiometers.